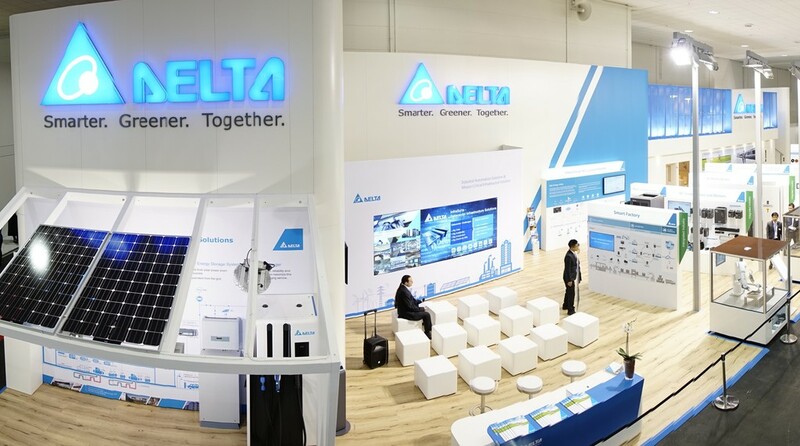 At this year’s Hannover Messe, Delta showcased an enhanced spectrum of industrial automation solutions designed to around the concept of smart manufacturing. Delta’s industrial automation solutions echoed the main theme of Hannover Messe 2016, ‘Integrated Industry - Discover Solutions’ through its broad spectrum of AC motor drives, AC servo drives, PLCs, industrial PCs and panel PCs, HMIs, industrial Ethernet switches, products for power quality improvement, smart sensors, machine vision solutions, power meters, flow meters, and temperature controllers. Programmable Logic Controller AS Series is Delta´s new advanced modular-design controller for automation machinery. With new 32 bit SoC (System on Chip) CPUs, the AS Series is excellent in performance with program capacity of 40k steps/ms and supports up to 32 extension modules or max. 1,024 I/O points. It is able to control max. 8 axis via CANopen motion network / max. 6-axis via pulse control (200kHz). Industrial PCs - the whole new compact fanless industrial PC IPC Series and Panel PC PPC Series feature high performance with low-consumption Intel CPU core and 4G RAM. The IPC Series and the PPC Series are embedded with Windows 7 operation system and 64GSSD/500G HDD, perfect to run Delta Energy Management System DIAEnergie and SCADA software DIAView for factory, building, and machine monitoring. The Panel PCs support high-resolution 15» and 19» display and die-cast aluminium alloy enclosure to suite for critical industry environment. AC Motor Drives MH300 and MS300 Series are Delta´s new compact drives with up to 40% size reduction, support open/closed loop control for both IM and PM motors. Both series feature built-in PLC, built-in brake choppers, integrated STO and support various fieldbus. The high speed models are available with up to 2000Hz and 1500Hz output frequency. The MH300 and MS300 Series deliver optimized space utilization, strong system support, and are also easy to install and operate. Industry-specific fan/pump drive CFP2000 Series is Delta´s brand new High Durability Vector Control Drive for fan and pump applications. Featuring built-in EMC filter, DC chokes, Real-Time Clock (RTC), and BACnet, the CFP2000 Series provides the best solution for the special needs in the HVAC industry. The IP55 model features highly effective protection against dust and water in harsh environments. Delta’s Integrated Factory Control Platform integrates the mid-range PLC AH500 Series as host controllers, the SCADA System DIAView and the industrial energy management system DIAEnergie for real-time manufacturing process monitoring. All data is managed by the Industrial PC IPC Series and preserved by Delta´s internet cloud service for customers´ real-time management. This system architecture fosters higher productivity and flexibility in a wide range of manufacturing processes with its »customer-centric» logistic management approach. Multiple Water Pumps Control Solution performs pump management with several control modes, such as pressure, temperature or constant level, and provides a configurable hardware and software system to control up to four pumps. The solution is suitable for water pumps in HVAC systems, water treatment, and other applications that require multiple pump control. 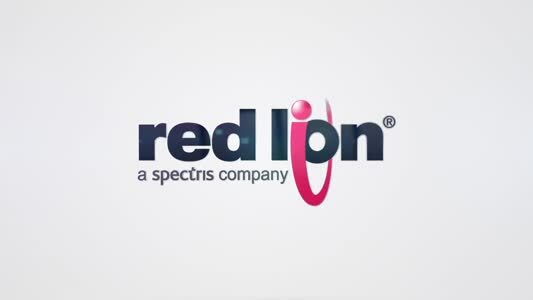 In addition, the solution supports remote connection via 3G router and Delta´s internet cloud service. Users can remotely maintain and manage the whole system through Windows, Android, and iOS systems. Delta offers embedded and PC-Based CNC Solutions for engraving machines, wood carving machines and other machine tools, and serves customers with high speed, high precision and high flexibility. Delta´s embedded CNC solution integrates the CNC Controller NC300 Series with advanced motion control technology. As the core of Delta´s CNC solution, the NC300 Series can build up a complete, flexible CNC system when matched with AC Servo Drives ASDA-A2 Series, servo motors, and AC Motor Drives M300 Series. Delta also presents its PC-Based CNC Solution for thermal cutting, glass cutting and woodworking processes with the Programmable Automation Controller (PAC) MH1 Series. As a high performance PC-based controller, the MH1 Series features highly efficient multi-axis control (up to max. 64 axes via EtherCAT) to simplify system architecture, reduce system construction cost, and increase operation efficiency for customers. The MH1 delivers optimised operation and can construct a complete PC-based CNC solution when integrated with Delta´s AC servo drives and servo motors. Food Packaging Solution delivers high-speed packaging efficiency with good quality for food and beverage packaging machines. This solution adopts Delta´s mid-range PLC AH500 Series with motion control modules as main controller to offer stable, integrated multi-task control among packaging processes. In addition, the machine vision system integrated in this solution offers highly accurate inspection on finished goods to ensure product quality. Elevator Solution is able to save up to 40% energy for elevator systems through power regeneration provided by the Power Regenerative Unit REG2000 Series. The elevator system also delivers smooth rides and door open/close with Delta´s Elevator Drive ED Series and Door Control Drive VFD-DD Series. Power Quality Solutions offers enhanced power factor and fast compensation of harmonics, reactive power and unbalanced loads with the Active Power Filter APF2000 Series, the Static Var Generator SVG Series and the Active Front End AFE2000 Series.